Actor Ahn Jae Woo was praising the acting of guest star Seungri of BigBang, the atmosphere of the filming set was warm. 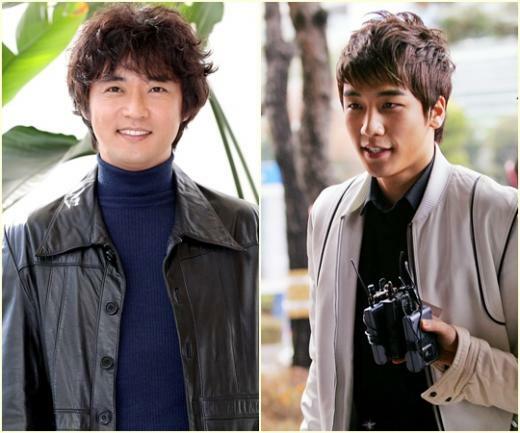 Seung Ri was appearing in Lights and Shadows episode 9 and episode 10 broadcast on December 26 and 27, 2011 respectively as Ahn Jae Soo, a trainee singer who stays at Yeosu city, showing his comedy acting skill. Ahn Jae Soo introduced himself as “Nam Jin of Yeosu,” and asked group leader if he could changed him into a singer. He recklessly wanted to treat Kang Ki Tae (Ahn Jae Wook) a drink, saying “soon will become a family, take good care of brother is what I supposed to do,” showing his slick acting. Meanwhile, Seungri was giving viewers surprise fun by perfectly interpreting the role of passionate trainee singer with fluent dialect in the drama. After the broadcast, viewers praised, “Look forward to Seungri in such a role,” “Very suitable for dialect acting,” “Acting during cameo is also above expectation,” and so on.